The Kanes are marriage experts. They’ve spent almost 30 years teaching people how to unlearn behavior patterns that damage themselves and their relationships. The couple focuses on how to get people to view their own behaviors with calm detachment and uncritical observation, leading them to a more compassionate view of themselves and their partners. The Kanes also stress how early relationships with parents influence future dating and note that both partners are fully responsible for the success of a relationship—as opposed to each partner being half responsible. These concepts will not be new ideas to readers, but they are presented in a clear, understandable, and even humorous form. 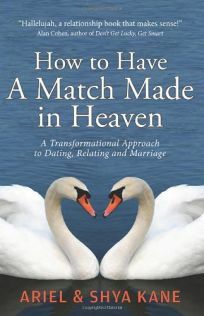 And while most relationship-oriented self-help books cover similar ground, this one distinguishes itself from the pack. By focusing on actual people’s stories, the Kanes illustrate how their advice works in action. The book includes links to audio-video sections that can be found online for readers curious to see the people whose stories are being told.